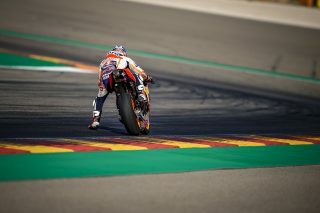 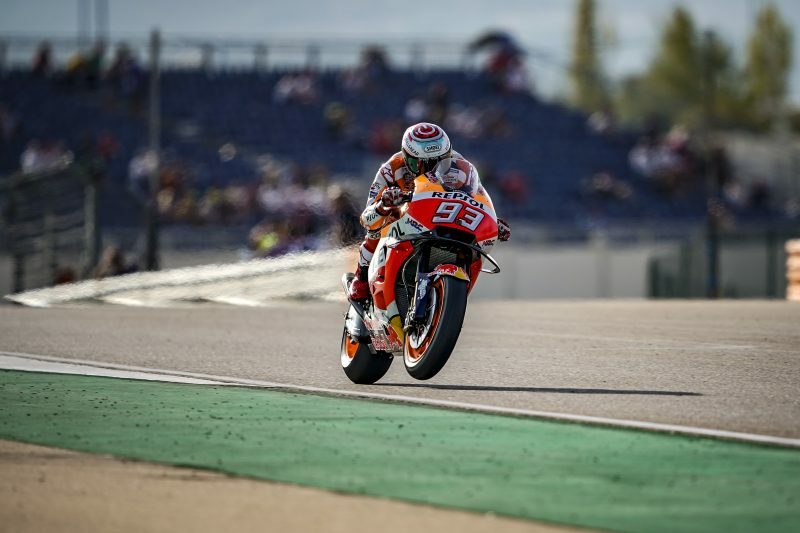 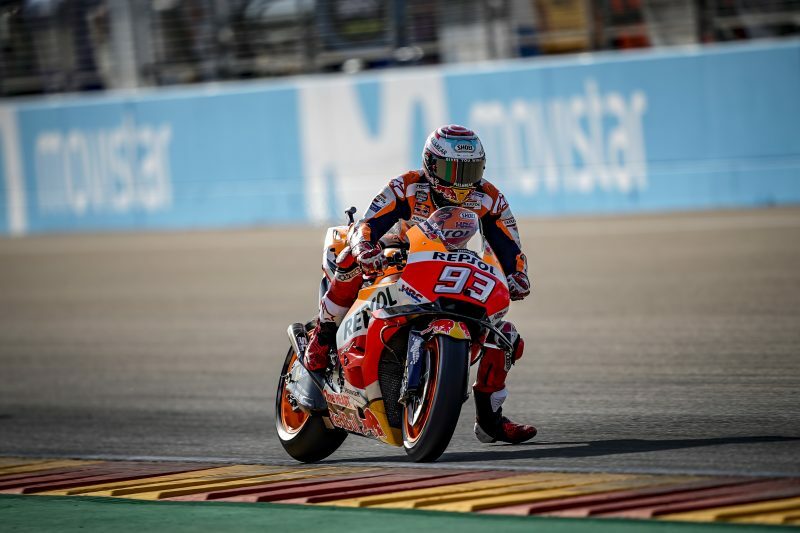 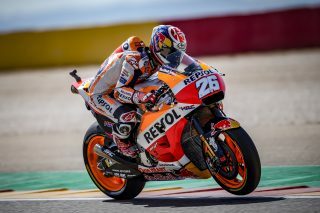 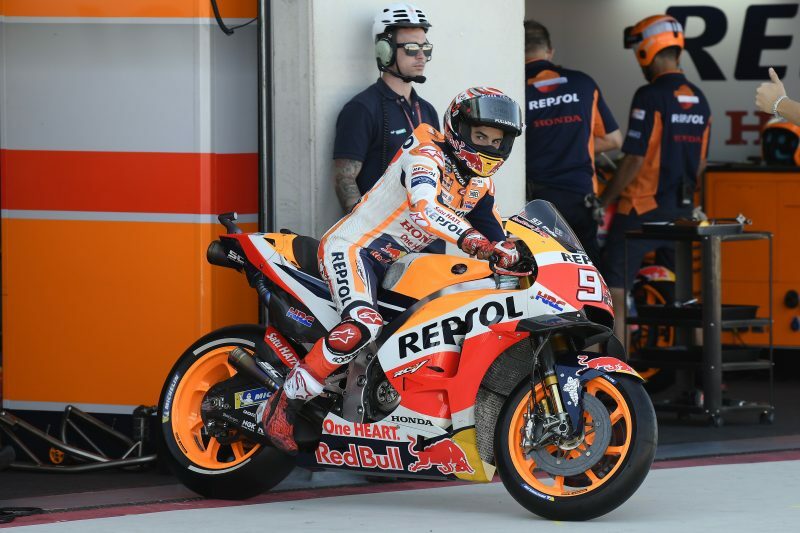 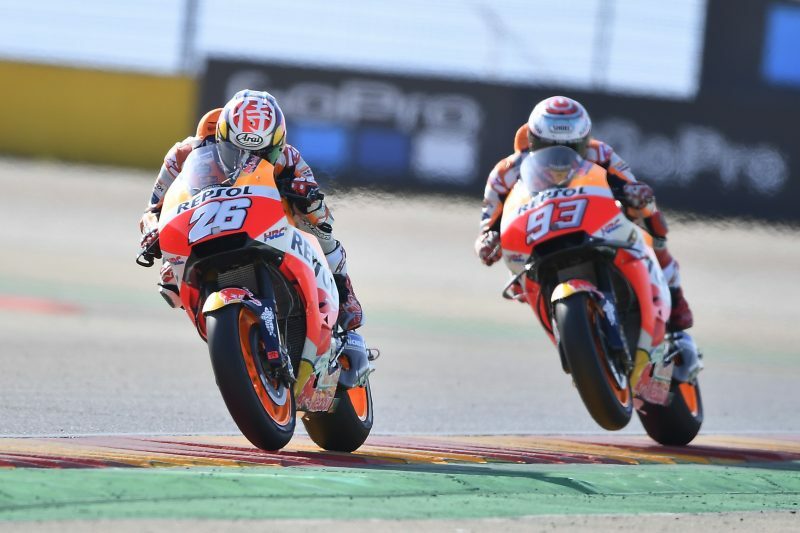 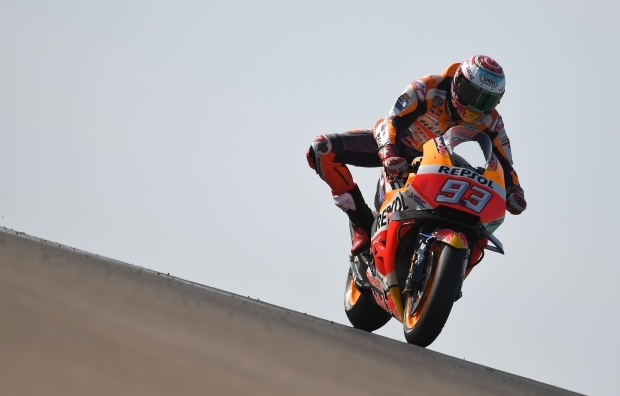 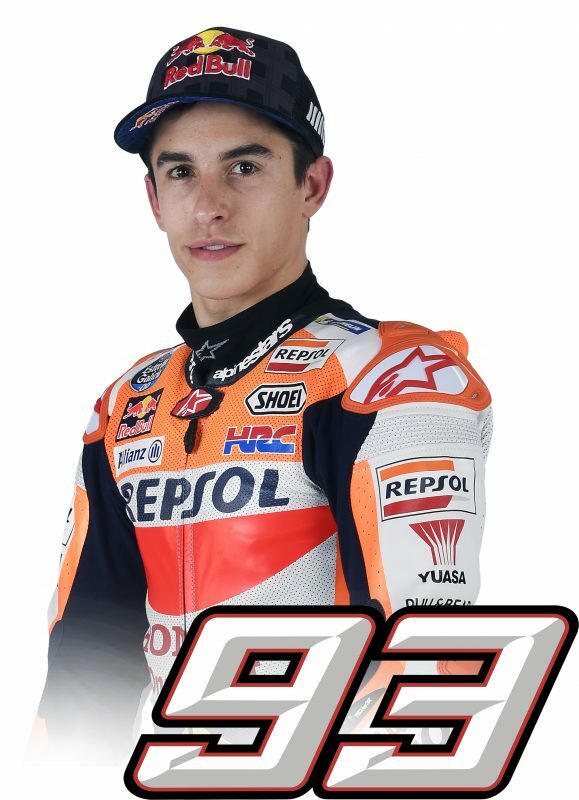 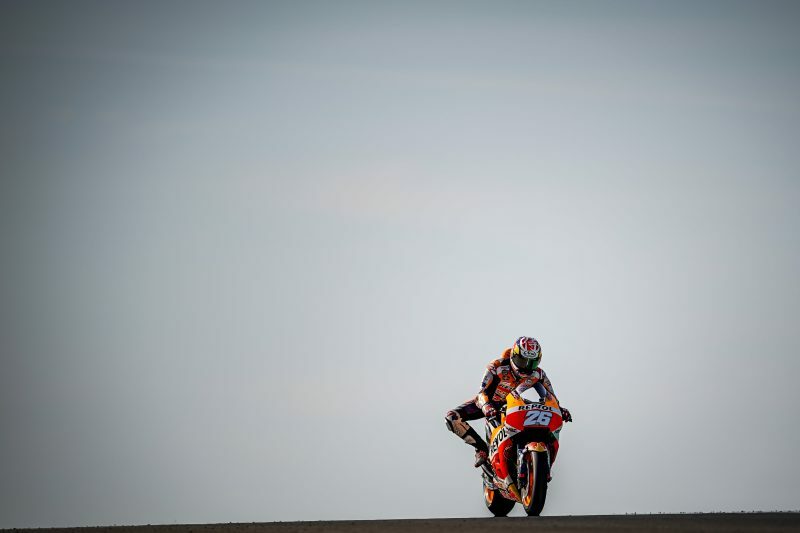 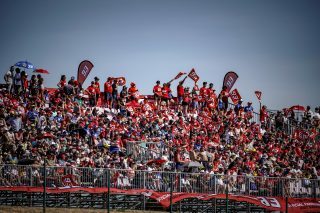 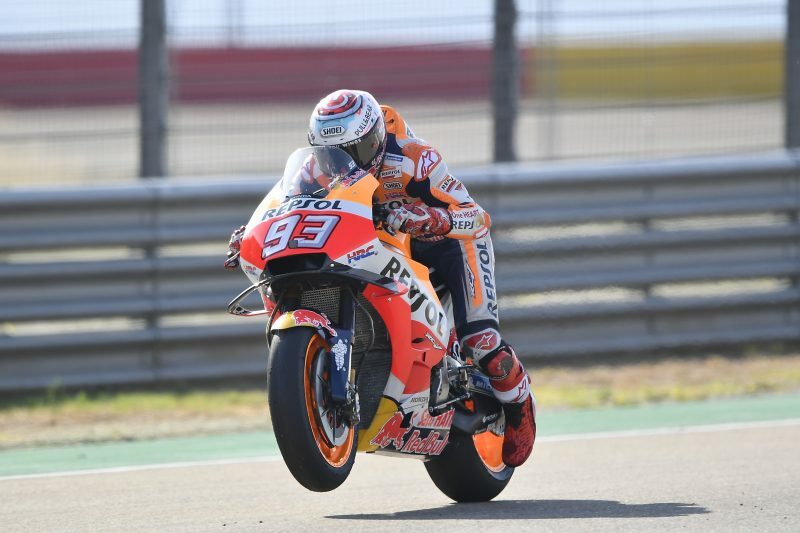 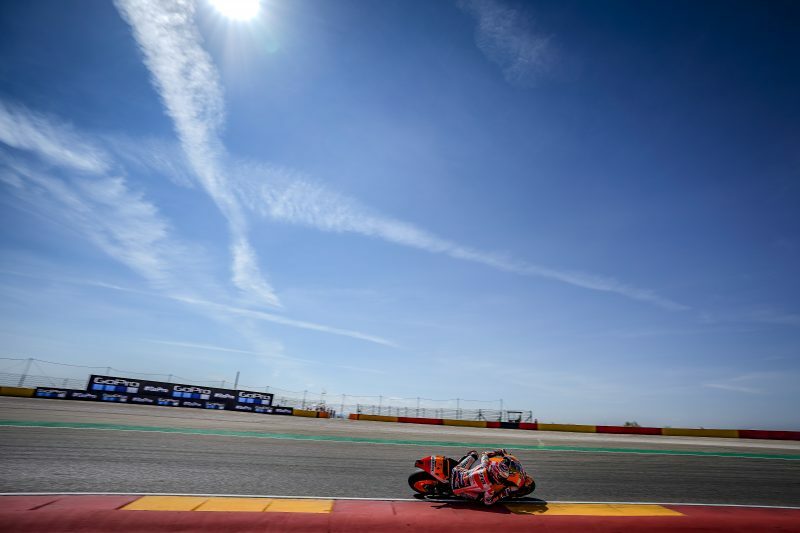 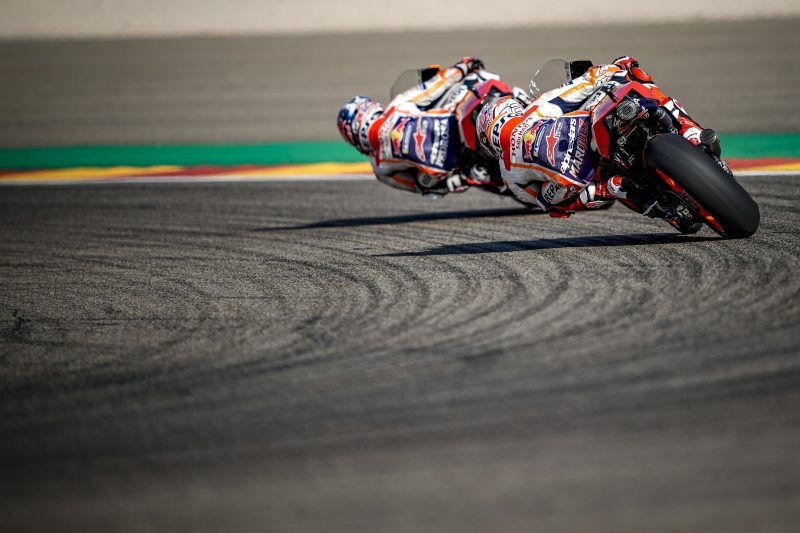 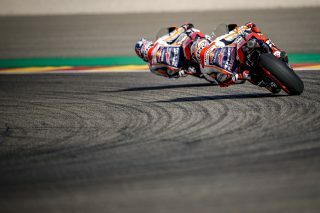 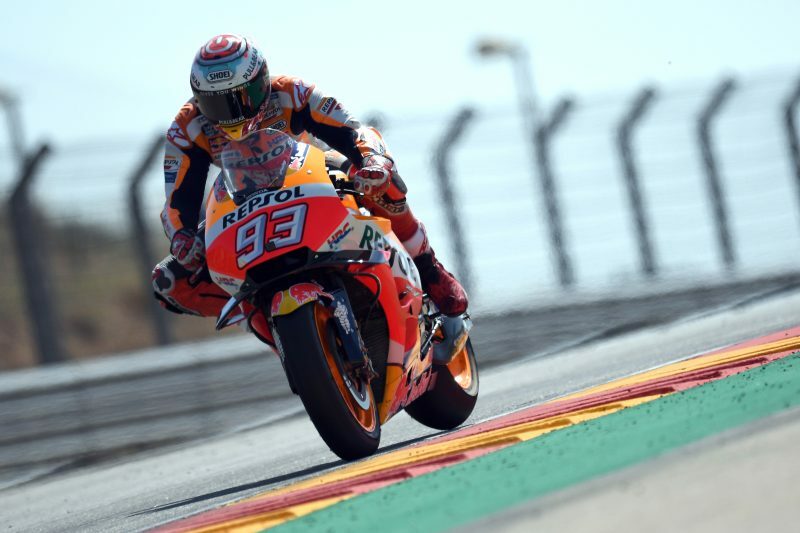 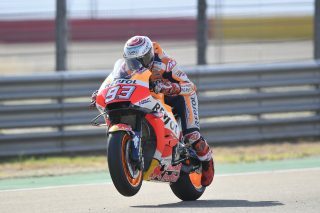 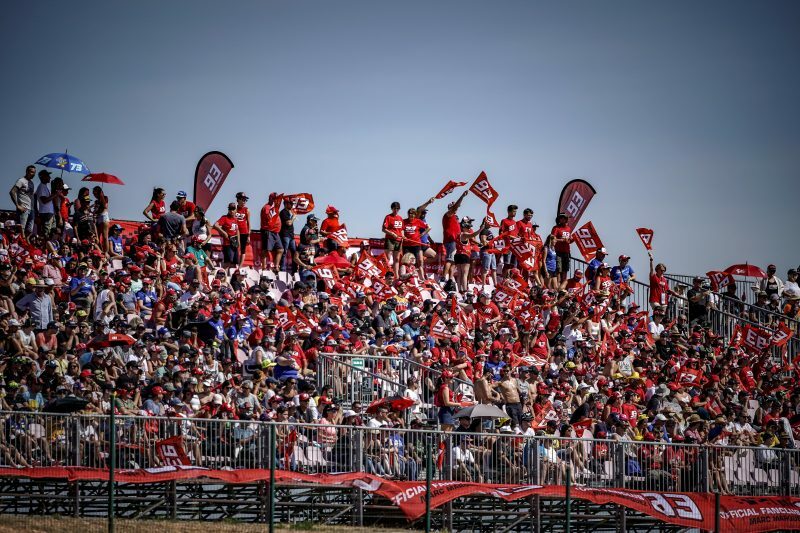 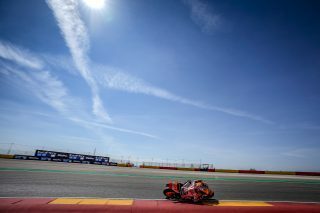 The front-row riders for tomorrow’s Aragon Grand Prix were within just 0.079 seconds of each other, with Marc Marquez among them in third place. 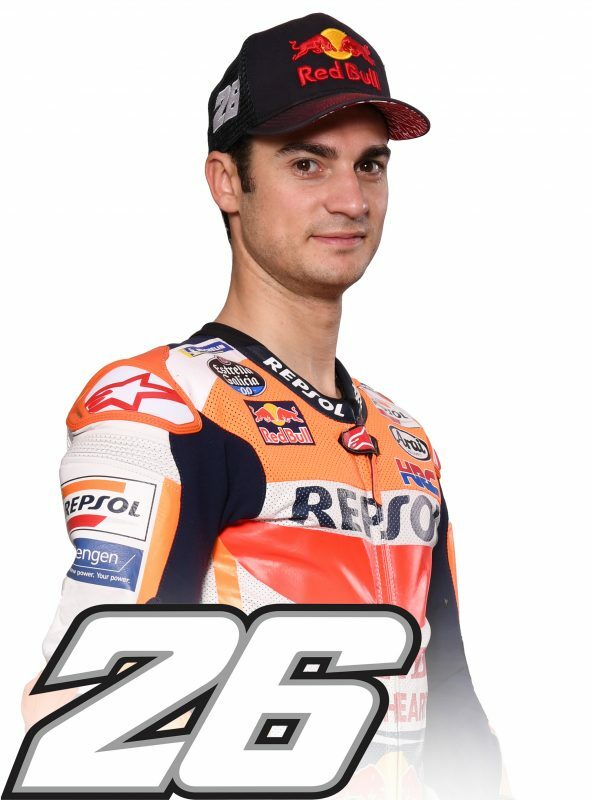 Further demonstrating how tight things were in today’s qualifying session, Dani Pedrosa completed the second row, just 0.343 seconds off poleman Jorge Lorenzo. 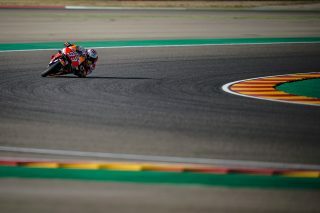 Marc was actually on top at the end of his first run and just lost the chance to defend his leadership when he went a bit wide in turn 12 during his final qualifying lap. 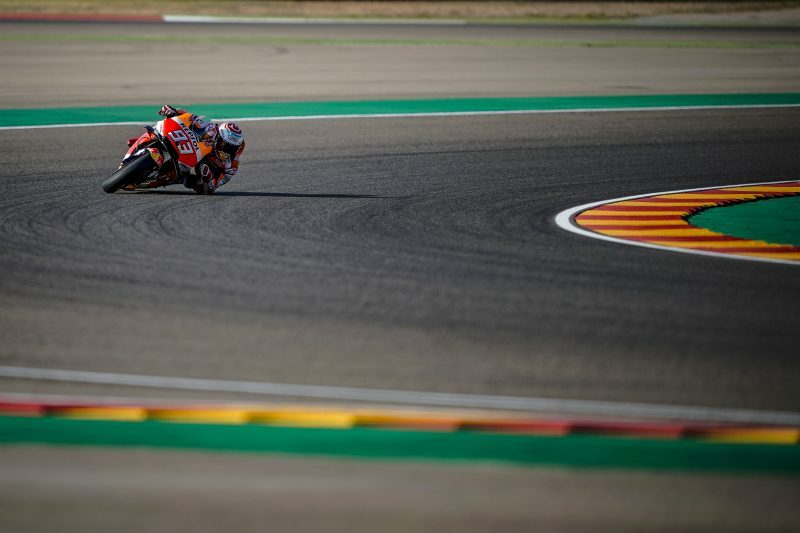 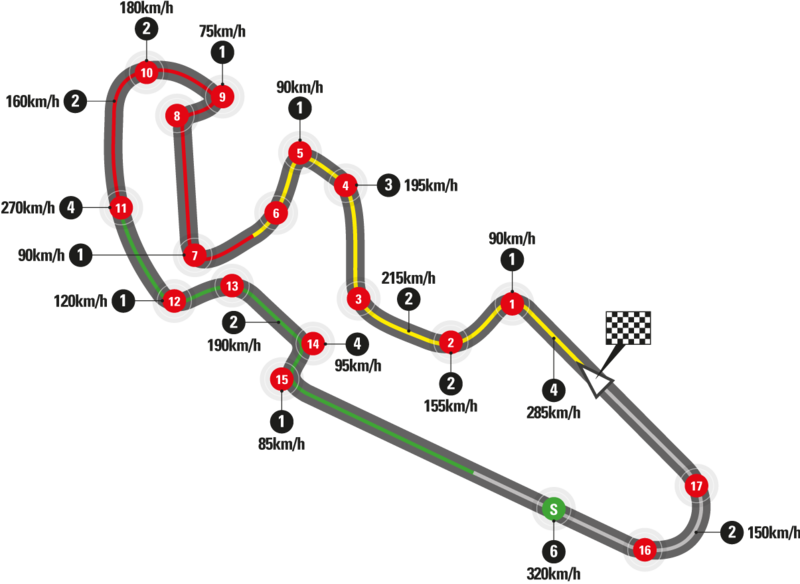 However, the Championship leader has shown a consistently fast race pace during the weekend and tomorrow will again try to fight at the front in his home race.